Because malls are just getting crazier by the year. Christmas is just around the corner, and if you’re panicking because you still need to do some last-minute shopping but cannot afford to waste time in traffic and long lines, then allow easy and accessible online shopping to save your holidays. Enough of those tassel earrings and gift your BFF metal accessories from one of the hottest accessory brands in the metro, Nami. Give her days at the beach a pop of color with a mandala roundie. This cool brand definitely has something for him from hoodies to tees you can totally sport, too! The only keychain that’s acceptable as a gift. But they do have full-sized dream catchers as well! Everyone is raving about jade rollers and your mom surely deserves one. Take your pick between jade or rose quartz. Minkle is an online site that curates proudly Pinoy finds, from random trinkets, craft supplies, to gifts for him. Your friends’ 2018 work desks wouldn’t be complete without these notepads. There’s nothing more exciting than ticking off countries from your bucket list. 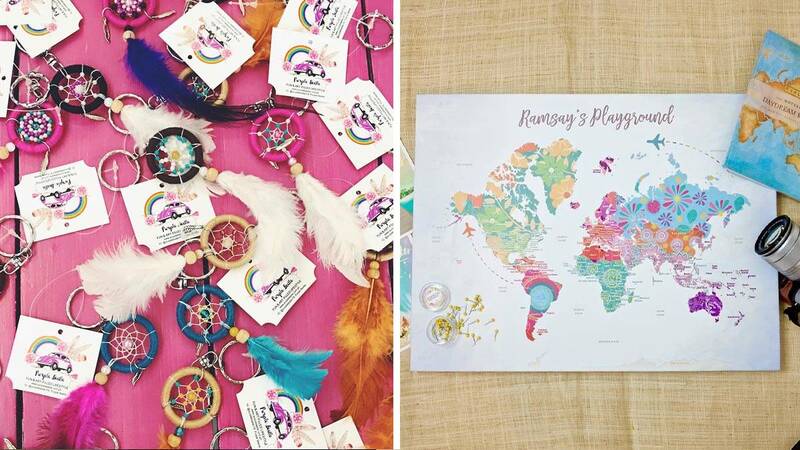 Make your travel buddy’s experience more colorful through these pin maps (world and Philippine maps in different designs available) that doubles as a great room accessory. Hey, you can even personalize it! Support her road to fitness by introducing her to new (and local!) brands she’ll surely love. Personalized gifts are the most thoughtful gifts. Check out this brand for wood crafted letters or names, hand-drawn cartoonized portraits and so much more.